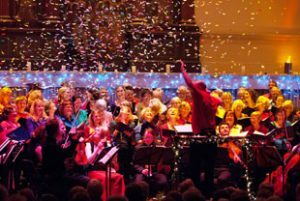 A Christmas extravaganza performed by professional orchestra The Bristol Ensemble and the 100-strong voices of City of Bristol Choir. A brilliantly entertaining evening of festive music including sparkling orchestral pieces, beautiful choral Christmas carols and the opportunity for audience members to join in with the singing too. David Ogden directs proceedings in charismatic style, making this is an annual favourite in the season’s concert diary for many. Tickets £12 to £26 from St George’s Bristol box office on 0845 40 24 001 or online at www.stgeorgesbristol.co.uk.